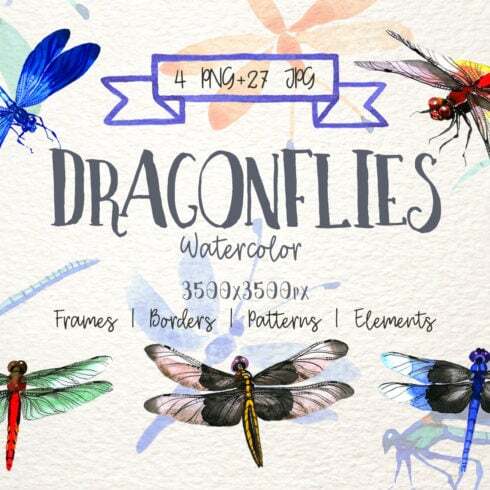 Insect dragonfly watercolor set of 31 files. Ideal material for DIY, wedding invitations, greeting cards, quotes, blogs, posters and more. Every designer, being a talented professional, definitely can sketch anything from scratch. Only it would take a lot of time and will not produce sufficient revenue for him. That’s why many of the web designers work with ready-made visual elements – mix these graphic components, customize them and create the design with them. Nobody is going to buy those components on an individual basis, that’s why they are put into graphic bundles and sold as a singular product. The best way to spend significantly less funds on MasterBundles.com bundles? You can make the MasterBundles.com products even cheaper. Yeah, I know they are already affordable, but there’s still place to save. Just share this web page via social media – you immediately receive the 5% price reduction for every of the graphic packages that appeals to you. That is a quite simple way to get a professionally created tools for less money. Why are graphic deals profitable? For a single design job, you will require lots of components – a few icons, a font, a number of pictures, et cetera. If you’d want to buy every one of them separately it will cost you a lot of money! So, that is why seasoned designers always look for some graphic bundles to buy. They allow purchasing a big selection of various components for a small price tag. What types of graphic packages are there? 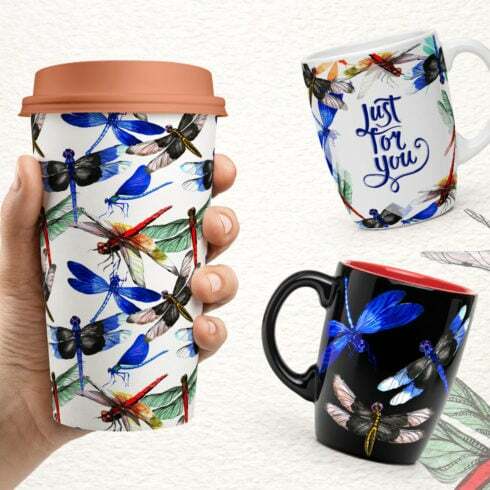 Considering that all the packages differ from one to another, each individual web designer will discover the needed collection for a unique project. Browsing them you’ll find the selections including illustration swatches, social media infographics, PPT templates, plus much more. On MasterBundles marketplace, you will find over 450 graphic packages to select from. MasterBundles could offer you a large assortment of unique items. MasterBundles.com sells not just graphics packages but also about 20 other various kinds of goods. Fonts, WordPress themes, mockups, icons, photos, illustrations, presentation templates and a lot more – on the MasterBundles it is possible to find all the goods, required for a design. Precisely what is an infographics package deal? If you ever need infographics for a upcoming presentation in different market sectors through social media and marketing to medical care and education, the package is just what you were looking for. Making use of the infographics package deal you’ll find yourself saving your time which is essential in terms of productivity. Precisely what is a watercolor bundle? The watercolor graphics package is usually a package containing pics and drawings painted with watercolors. They’ll perfectly fit for a range of businesses, such as fashion, cosmetics, perfume and food distributors. Wedding invites or business cards may be constructed with this package deal. MasterBundles is a marketplace that accumulates top deals from the internet and lets you purchase the elements you need in your business for a lower price. Bundle deals this website sells are limited in time, and that is the answer why they are so inexpensive. To avoid missing the sale you will be excited about – sign up for the email newsletter, showing you the newest deals. MasterBundles.com boasts a big blog with the helpful design news and features explained.